There is an age-old adage that “necessity is the mother of invention”, which is an apt description of the challenge that the Honda Motor Company faced on its return to the 500cc class of Grand Prix motorcycle racing in 1979. 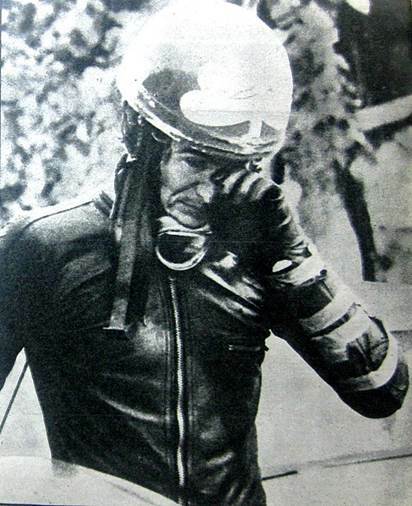 Honda had withdrawn from motorcycle Grands Prix at the end of 1967 for a variety of reasons. The Japanese company had prioritised the R&D department to concentrate on its venture into road cars, while also supplying racing engines to the Brabham Formula 2 team and entering its own car into Formula 1 with a former motorcycle and F1 world champion John Surtees at the wheel. The company’s resources were being stretched to the very limit. And there were also changes in the wind for Grand Pix motorcycle racing with new regulations being introduced by the F.I.M. at the end 1969 season. These would limit the number of cylinders and gears for the different Grand Prix classes, in an attempt to reduce costs, which also played a part in the decision by Honda to withdraw. 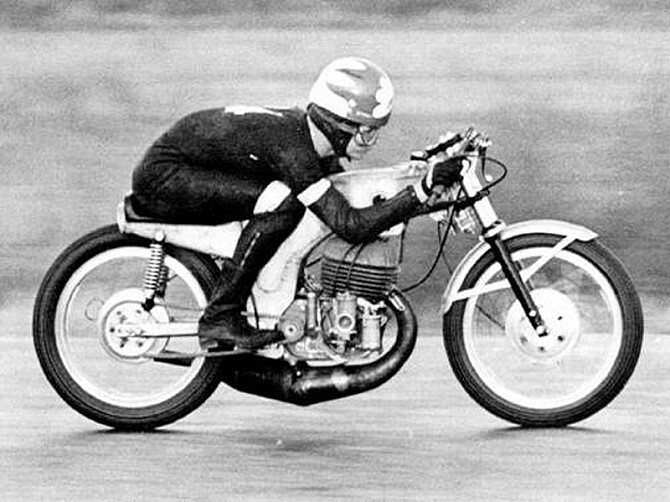 During the mid-sixties Honda, a stoic champion of the four-stroke engine, had been fighting a rearguard action against the ever-improving two-stroke engines of its Japanese and European rivals, particularly in the smaller capacity classes. 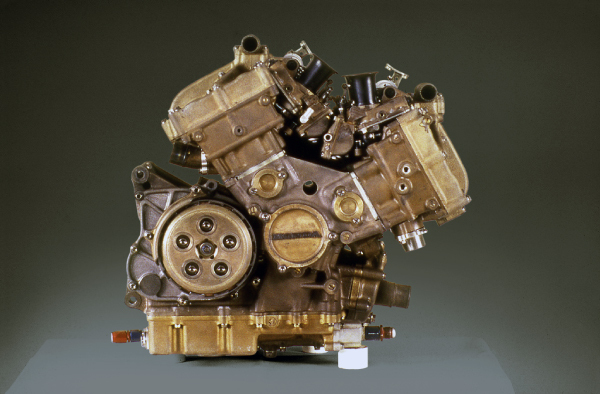 To overcome the more frequent power strokes the two-stroke engine design, Honda could only improve the four-stroke engines volumetric efficiency with more cylinders, higher engine rev’s and more gears, which were effectively to be outlawed by the FIM in 1969. How could Honda respond to this technical conundrum? 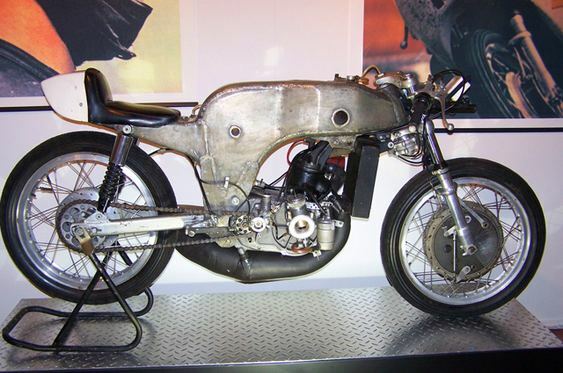 The answer is one of the most technically innovative motorcycle engine designs of all time. The decision to return to the Grand’s Prix was officially announced in December 1977 by the President of Honda, Koyoshi Kawashima. In true Honda tradition, the group of young engineers brought together to develop a winning machine had little if any racing experience. This “clean sheet” approach was indeed a risky one. 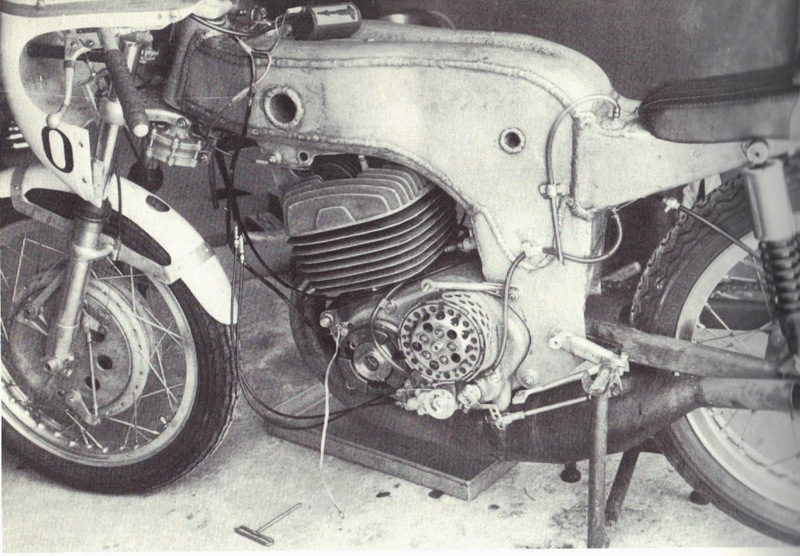 No four-stroke had competed in the 500cc class since 1976 when the mighty MV Agusta team withdrew, conceding to the supremacy of the two-stroke engine. With the official title of “New Racing”, the development team came together in 1978 at the Asaka R&D Center. Takeo Fukui, who would later become director of R&D and president of Honda Racing Corporation, would lead the team, while Soichiro Irimajiri, the man who was the father of the CBX road bike and the legendary RC166 250cc six-cylinder GP racer would help guide the group. It soon became apparent to the young engineers that, within the limitation of four cylinders, to get on a competitive footing with the two-strokes they needed to double the number of engine revs and improve intake efficiency by increasing the number of inlet valves and exhaust valves from four to eight. 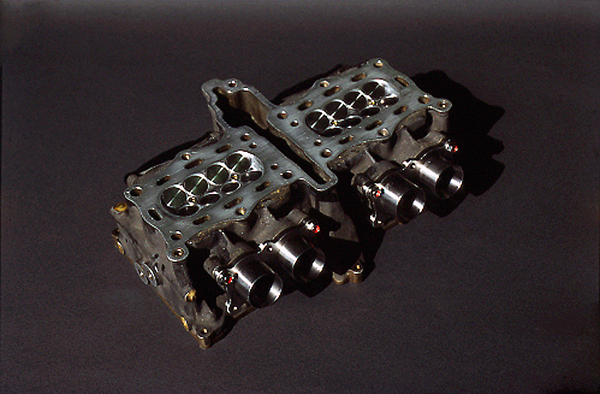 To accommodate eight valves, the team decided to free themselves from the traditional round piston and use a revolutionary oval design. In effect, a V8 with 4 sets of two cylinders fused together. According to their calculations, an estimated output of 130hp at 23,000rpm was possible. A cylinder head for the Honda NR500. To prove the potential of this design a single cylinder “slave” engine was built, initially with two valves, which showed the engine would rev. The number of valves was then increased step by step from two to eight. This was not without teething problems with the engine self destructing at anything over 10,000rpm. 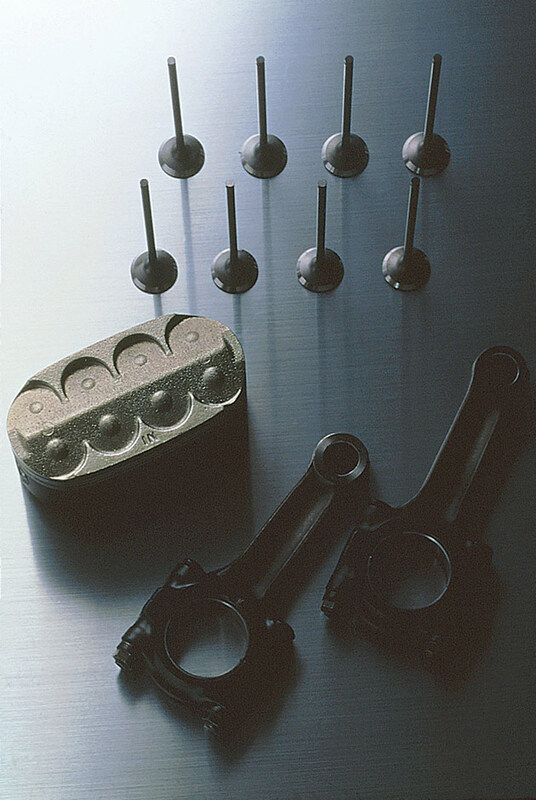 The problem was with the two connecting rods the oval piston design required, which distorted and pulled the piston pins out of position. Sealing of the piston rings, not unexpectedly, was also a significant problem. However, it was the persistence of the team that one by one identified and found solutions to these problems. The achievement of effectively sealing of the piston ring, in particular, was a considerable boost to the feasibility of the overall design. With that, the test target moved from the single-cylinder ‘slave” engines to a full four-cylinder engine. Toshimitsu Yoshimura was responsible for designing the 100-degree V-four, and bench testing of the revolutionary engine began in April 1979. The Grand Prix season was already well underway. But the 0X engine was still giving the team problems, from a damaged gear train to broken valves. Nevertheless, the engine was producing around 110 horsepower, and the engineers knew that to understand its real-world potential it needed to be assessed in the white heat of competition. “We wanted to identify the weaknesses in our new engine by seeing how it performed in an actual race,” remembered Yoshimura. 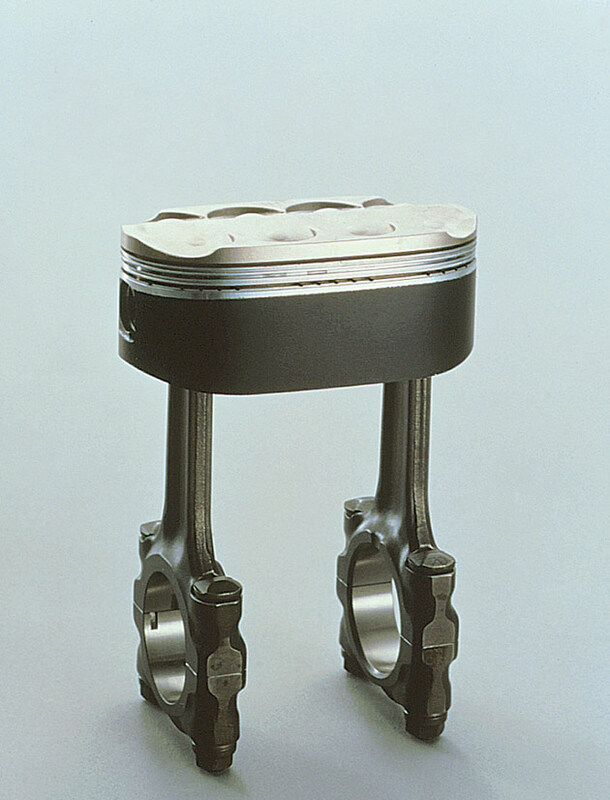 The oval piston from the NR750 Honda. However, it was not just the engine of the NR500 that was innovative, the chassis was as well. Designed by research engineer, Tadahashi Kamiya, it was constructed as a true monocoque. The engine, with swingarm, attached, slotted into the stressed skin of the fairing, tank and seat unit. Radiators for the liquid cooled engine were mounted on the sides of the fairing, utilising the air funnelling through the front of the “fairing” to flow onto the engine and out the sides of the fairing through the cooling radiators. 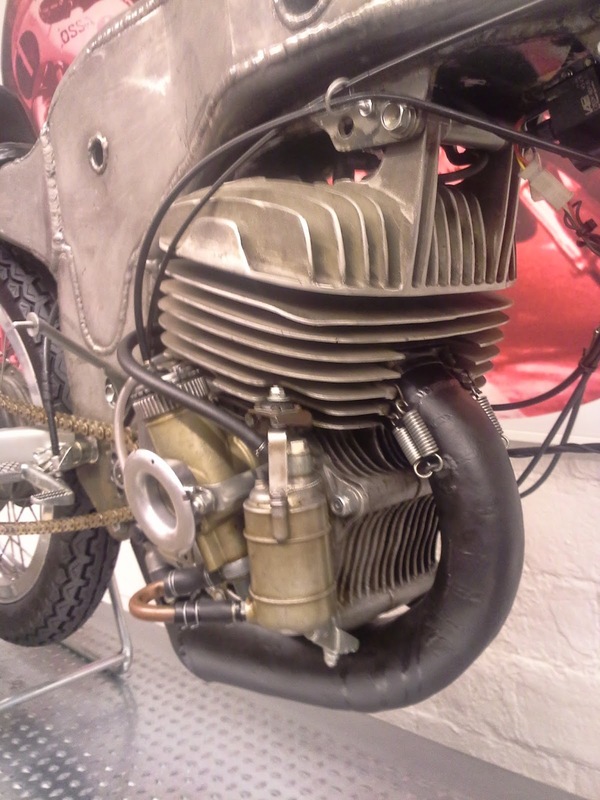 Although the rear suspension was a more conventional monoshock system, the front forks were unusual by using an “upside down” design in which the triple clamps held the fork tubes and the stanchions held the front wheel axle. The Honda design used external fork springs to enable quick changes of spring rates and a higher volume of fork oil and larger damping components in the fork tube. Oddly the disk calipers where mounted in front of the forks, which to a degree was offset by an unusual trailing front axle. Again the team of engineers pushed the envelope by opting to use 16inch Comstar wheels with tyres developed by Dunlop as opposed to the commonly used 18inch rims with Michelin tyres in search of lower unsprung weight and a smaller frontal area for the NR500. 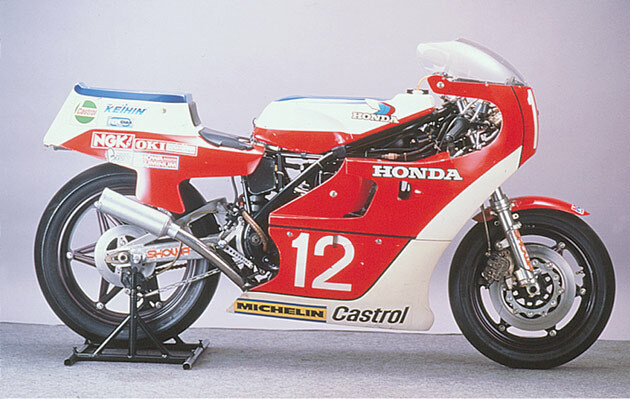 The ground breaking NR500 Honda of 1979. It was at the 1979 British Grand Prix at Silverstone, the 11th World Championship race of the season that the NR500 made its debut. 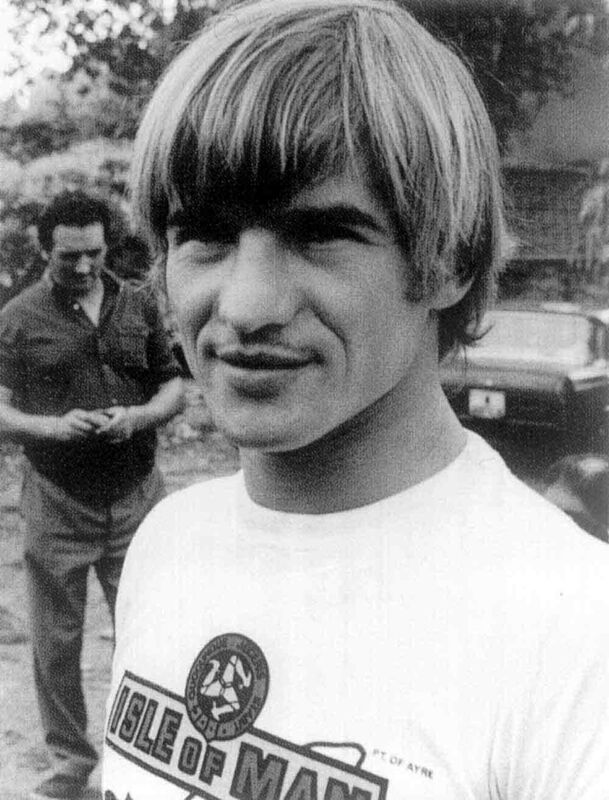 Veteran English rider Mick Grant, an Isle of Man Senior TT and 250cc Grand Prix winner, along with Takazumi Katayama, a Korean born Japanese rider and 1977 350cc World Champion, had been recruited to race the groundbreaking machine. Both had tested the bike in Japan, and Grant, in particular, understood the frustration of developing the avant-garde Honda. Even with Grant and Katayama’s best efforts, they qualified on the last row of the grid. Grand Prix racing in those days required a push start by the rider to fire up the engine when the starter’s flag was dropped. The Honda at that stage would only idle at 7000rpm and making the engine fire up was a hit and miss affair. Katayama caught his engine but waited for Grant’s engine to fire so they could circulate together around the circuit. It took several embarrassing seconds before Grant could get away. 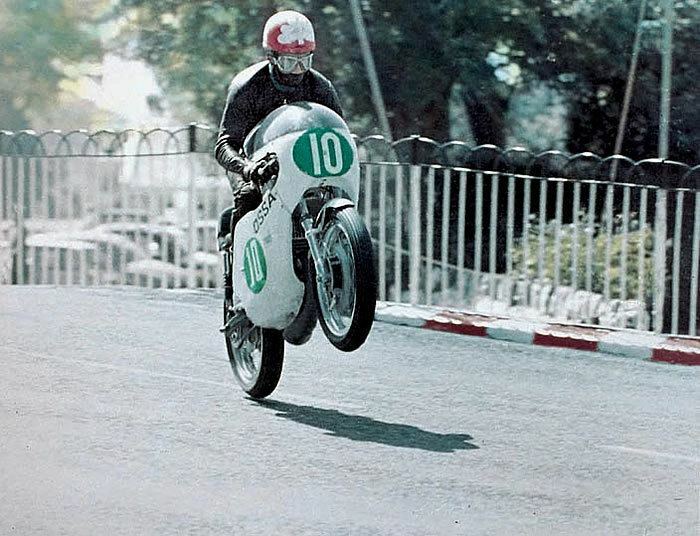 With his weight too far back on the saddle the Honda pulled wheelies through the gears. As he approached the first corner, the NR500 slid out beneath him and started to catch fire. The wheelie had caused oil to spill out the carburettors and onto the rear tyre. Katayama retired several laps later with engine problems. The revolutionary oval piston technology. The next race was the French Grand Prix at Le Mans where the Honda team suffered the humiliation of not even qualifying for the race. It was the last race of the year, and Yoshimura was moved to tears, “I felt miserable, just miserable,” he said. “Tears welled up in my eyes. Except for ours, all the bikes were using two-stroke engines. To be honest, I’d been hoping they would go to the final race and give us a really good run, even if it meant trailing at the very end. After the race, they asked me to watch the video, but I couldn’t bring myself to see it.” If anything it underlined how long the road would be for the NR500. In fact, the plan documents for the “New Racing” team had stipulated, “Become World Champion within three years.” Time was of the essence, and the vast amount of new technology and innovation would take to long to perfect. At the beginning of the 1980 season, the team had returned to a conventional tube type frame and 18inch wheels. The focus could then be put into developing the engine, which in many ways was the fundamental problem. Due to the V4’s extreme engine breaking which caused the rear wheel to hop on downshifts in the lower gears, a back torque-limiting clutch was developed to cure the problem. By now the 1X engine was producing 115ps, but acceleration and throttle response in corners was still a problem. And as reliability improved so did the engines weight by around 20kg requiring the use of exotic materials such as magnesium and titanium to maintain the status quo. 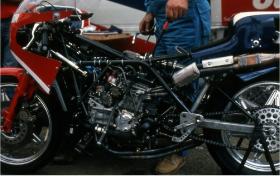 The tube frame for the 1980 NR500. The 1980 Grand Prix season, however, did not see much reward for a lot of hard work. Although Katayama had managed, take a third place podium at an international meeting in Italy, in the World Championship his best results were fifteenth place at the British Grand Prix (the first finish for the NR500 in a GP), and twelfth place at the German Grand Prix. This did not stop the motorcycle media from harshly criticising the NR500 Honda, tagging it as “Never Ready”. The oval piston engine was further refined for the 1981 season in order to reduce weight, improve durability and increase power. The 100-degree V of the engine was narrowed to 90 creating a more compact unit, but just as importantly it was now producing 130ps at 19,000rpm in its 2X configuration. Freddie Spencer on the NR500 Honda at Silverstone. Honda had decided it would enter machines in the All-Japan Championship to help speed up development of the NR500. A fifth place at the second round of the championship saw the NR500 starting to compete on more equal terms with two-strokes. 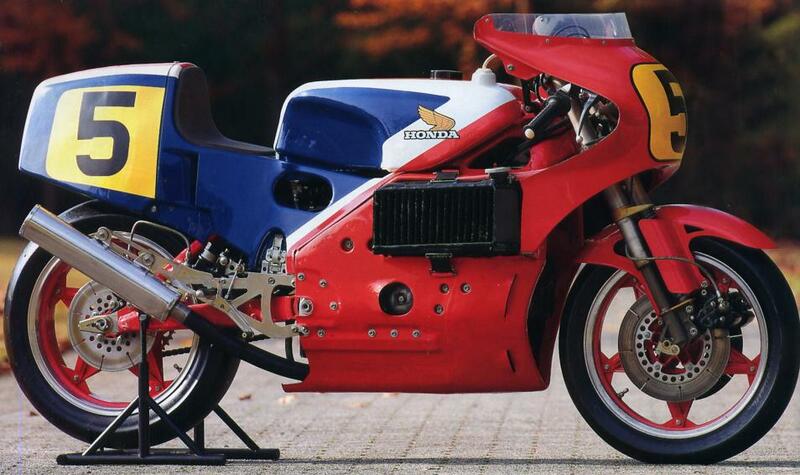 This was backed up with the NR500’s first win at the Suzuka 200 kilometre race where the four-strokes better fuel consumption was pivotal to the victory. Then in July Honda’s new rider signing, Freddie Spencer, scored a victory over 500cc Grand Prix World Champion “King” Kenny Roberts in a heat race for the final in an international meeting at Laguna Seca. The competitiveness did not follow the Honda to Europe. Katayama managed a thirteenth place in the first round of the 500cc World Championship in Austria, but retirement from the subsequent races resulted in no points for the team that season. For the 1982 season, after finally accepting that the rules favoured the two-stroke engine, Honda introduced the NS500 two-stroke Grand Prix racer. Although race appearances became fewer for the NR500, bench testing of the remarkable engine continued. The technology continued to be developed resulting with the gestation of the NR750 to race at the 1987 Le Mans endurance race in France. Although not expected to win, (that was the job of the more “conventional “ Honda RVF’s of Honda France) and with two of rider line-up who were motorcycle journalists, it was up to two times Australian Superbike Champion, Malcolm “Wally” Campbell, to qualify for the race. Someone forgot to tell Campbell that for Honda it was more about publicity than racing and he put NR750 in second place on the grid behind the factory Honda RVF. Unreliability again put the NR out at the 22hour mark, but it did emphasise how far the technology had come. Campbell would give the NR750 its first win in a heat of the Swan Insurance International Series at Calder Park in December that year. 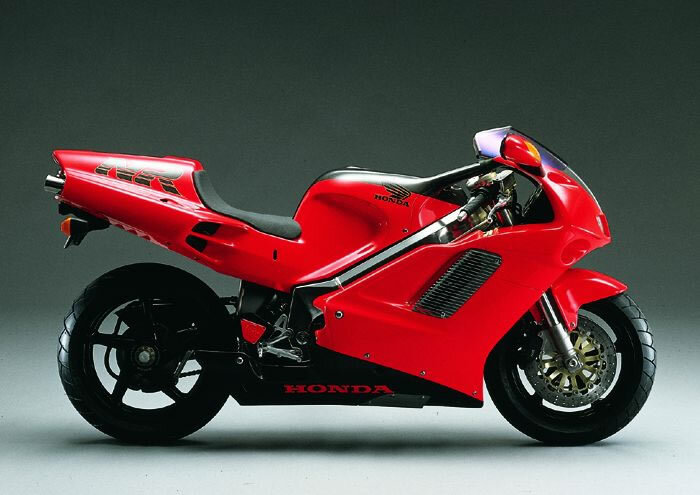 In 1992, thirteen years after the NR500’s debut in the World Championship Grands Prix, Honda unveiled a production version of the NR750. Around 300 of these machines are believed to have been made with an extremely high price tag of around US$50,000. Recently an example was placed on eBay with an asking price of approximately US$100,000. There is also a certain amount of irony that Formula 1 banned both oval piston and two-stroke technology for use in an F1 engine. Perhaps a quote by an unnamed engineer that worked on the project best sums up the NR. “ The true value of the engine lay in its remarkable potential”. Words Geoff Dawes © 2015. Images courtesy of Honda Worldwide. Video courtesy Honda Worldwide, MCN and Youtube. 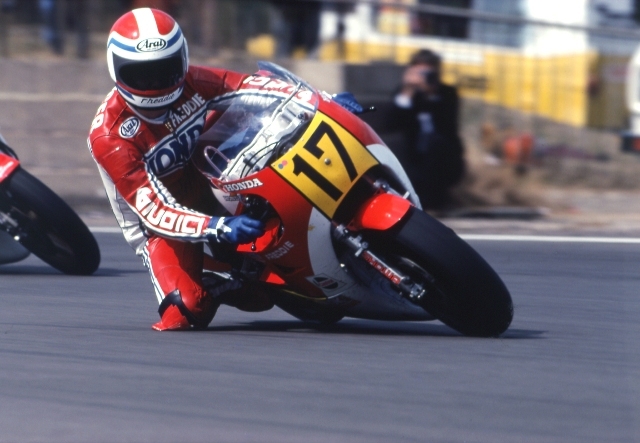 This entry was posted in Motorcycle Racing, Motorcycling and tagged 16 inch wheels, 1X engine, 2X engine, 3X engine, Freddie Spencer, Honda NR500, Honda NR750, Mick Grant, Monocoque chassis, OX engine, Takazumi Katayama on 31/01/2015 by Geoff Dawes.